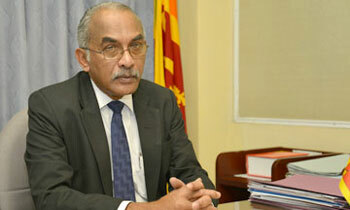 Asoka Peiris, the former chairman of the Delimitation Review Committee said some ministers believed that government officials should act according to their dictates like schoolchildren -- sitting down and standing up when ordered to by their teachers. He said some ministers addressed officials as 'Booruwa'. He made these comments yesterday (22) while expressing his best wishes to the National delegates seminar held on the theme of “Gamata Deriyak- Ratata Balayak,” held with the participation of JVP leader Anura Dissanayake and party secretary Tilvin Silva at the Maharagama Fair premises. This was his first speech at a political meeting although he had participated in and spoken at numerous meetings during his 28 years as an administrative officer in public service. "I am still a government servant, but I came here to reveal the truth despite the risk involved," he said. He referred to a former minister, the late Richard Pathirana, who addressed officials in the ministry as “Booruwa”, and how he had once responded to the minister on such an occasion . Speaking further he said the time had come to think of changing the government. BECAUSE , AT HOME , MISTERS ARE ADDRESSED LIKE THAT BY THEIR WIVES. What you need to understand is that , " they are mostly from that background" Even the best of breeds dogs turns three times (even in an AC room) before sleeping. Well, well, well, there is somebody has found the backbone and the voice to speak louder, at last. Yes, we need a change, not just a change, but change in the administration of the country with truth in their hearts, minds and soul giving first priority to the country, not the party or the party supporters. Whoever who could effect that change should effectively eradicate corruption, misuse, drugs,nepotism and so on. Long live Sri Lanka! How can they expect from these politicians better words than slang language . 80 percent without O/L 10 percent with A/L and balance 10 percent are with professional qualifications.. This is state of our country. These politicians will lay down our lives for their country. This Country lack of this kind of government officers.who has real backbone.unfortunately people also not recognized their commitment. Salute you.. Unfortunately, many in this country, like those who still want MR and his family to come back, don't think there is anything wrong with officials being addressed as booruwa. In most cases both are of the same species. That's no surprise because one "Booruwa" recognize the other Booruwa. 99% in the parliament and other politicians could be called that name cause they are that. It is a consolation to learn there is, at least, one officer who has the courage to stand up and show the dignity. We need more of this caliber. Yes, for some government offices, this "Booruwa" word is justifiable ! Please, don't site with the hyprocates like JVP. Mr.Peiris,Don't worry. They think others also the same like them. Therefore just forgive their ignorance.